I have been sitting on this post for a long time. It is no small thing to publicly announce that we left two other math companies and settled on one we felt was a better fit. Math is a touchy subject. It can be VERY difficult to find something that fits for our kids and that they don’t get left behind in or confused. There are SO many options out there that I know it feels like trudging through a muddy maze, not really certain how to find our way out into the “promised land” of a quality program that we are happy with. But after years of trial and error, I have finally taken the leap into the solidarity of committing to one curriculum–for ALL my kids! 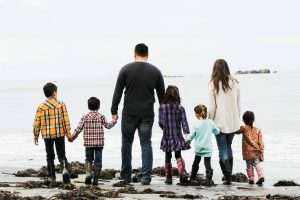 In the past I used a blend of curriculums, and to be completely transparent, I chose based on what was easier for ME not what was best for my kids. Sure, I was happy sipping my coffee feeling like my list was being magically checked off, but my kids were suffering. And the worst part is, I didn’t even know it! This is my story through three different math curriculums. I’m going to share the good the bad and the ugly and explain why we made the decision we did. 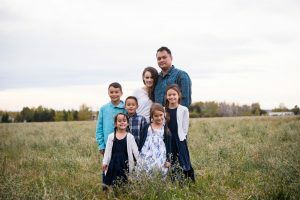 I hope that my journey can help you find the answers you seek for your own family, and offer a little bit of clarity into these three very different curriculums. I began using Math U See from day 1. We started Kindergarten with some custom wooden boxes (no longer made by the way) and all our books and multiple manipulative sets. I was IN, 100%. I loved the videos, I loved that it was hands on and I loved that it was a mastery approach. Things went really well for the first few years until I began to notice some concerns. My kids weren’t interested in math, they found it very repetitive and boring. I began crossing out pages and not making them do the entire lesson each week but their interest was waning no matter what I did. Where some of my kids were able to keep up, others began to fall behind. The farther they fell behind, the more frustrated they became. The program becomes incredibly intense, focusing on full mastery on a topic before moving on to anything else. Math became a fight. I didn’t feel up to the battle. My kinesthetic daughter, the one who should have (in theory) done the best with this program couldn’t keep up. I watched her burst into tears day after day. I tried working with her, but she was completely overwhelmed by the intensity of the approach and I felt like she was hating math. I was concerned that my children seemed to be unbalanced, ahead in one particular concept and way behind in the others. The curriculum was expensive, about $153 for the full set, which was really adding up as new littles hit curriculum. One day I just packed them all up and took the leap into new territory. The next year I spent using a blend of Math Lessons for a Living Education for my son who was in grade 1 and Teaching Textbooks for my older two. Teaching Textbooks doesn’t start until grade 3 so I was kind of forced into this blend of programs and it was interesting to see the two of them side by side. This program was one that I was relatively unfamiliar with and the initial introduction was full of infatuation on my behalf. I mean… here was a program that I had to do NOTHING with! I sipped tea and did school with my littles and enjoyed checking off my list. Math was getting done ya’ll! and all I had to do was say, “Go do your math.” It was a beautiful thing my friends. But I was so disengaged from the day-to-day and quite frankly, disinterested in what my kids thought of it that I began to miss the signs. This summer we pulled out our discs again and loaded them up to finish off the last few lessons and get ready for our new ones and both my kids were in tears. I began to look back over their lessons and saw that they hadn’t really been grasping the new concepts they were being taught. They could do it in the short term right after the lesson was done, but they didn’t know why they were doing it or what it meant. I watched them do things with a confused look on their face and when I asked them to explain what they were doing they couldn’t, “Because that’s what I’m supposed to do,” they’d answer with a shrug. Not only were they not ready to move on to another year, but I felt like we needed to redo the year we had done! I was honestly completely thrown for a loop you guys! Now what?!?!?! The only thing that I could think of was that all of them had tried a few weeks of Math Lessons for a Living Education for a review last fall and enjoyed it. My youngest son was still going strong with his math and loving every minute of it. He also had not forgotten any of the concepts he learned. I had done every single lesson with him, we had read stories and gone adventuring and he had understood not only the why behind the concept, but how it applied to him personally. He had narrated his understanding of the lessons as we went, I KNEW he had progressed, I had watched it happen! Not being one to waste time, energy, or tears, I felt that it was time to focus in on what my kids needed and give this program another try. We started about 2 weeks ago and the shift in our home has been palpable. My son comes down the stairs saying he can’t wait to do his math. Somehow I had this idea that I needed to go with Teaching Textbooks because I needed something they could do independently. But once we found something that they understood, both my oldest children are doing it completely independent from me. The stories explain the concepts and are so well done that they haven’t asked for my help ONCE other than to tell me what they are learning or ask me to get some poster board or index cards for them to use. I still had the freedom I had with TT, but without the teary overwhelmed children. Could it really be this easy? Why Did we choose Math Lessons for a Living Education? 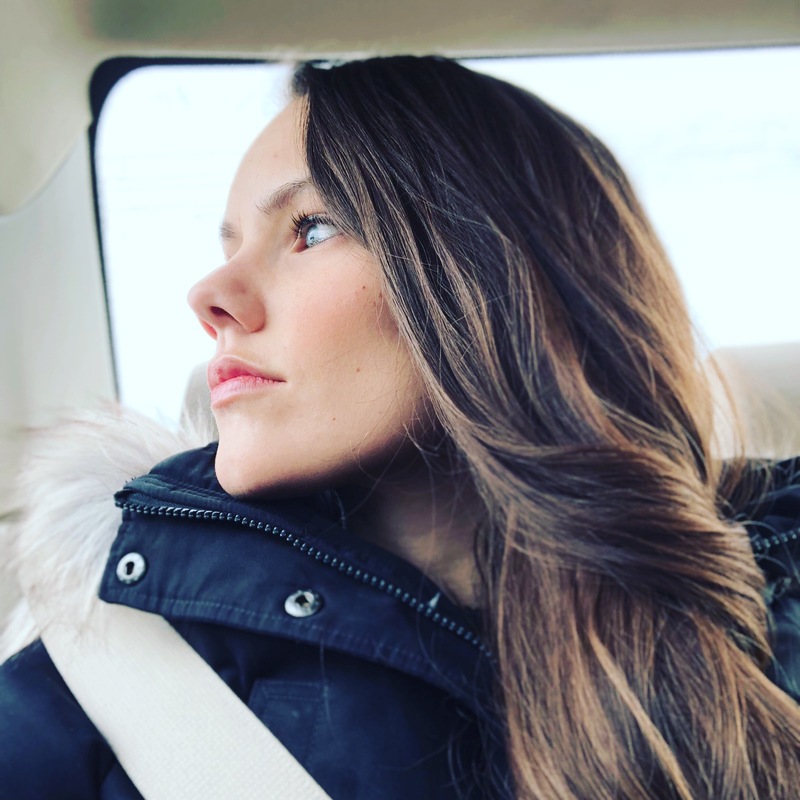 Other than the fact that it is working better for us in a practical sense, I feel it is the best choice for our family based on the options we have tried. It is hands-on, it is affordable, I am more involved which means I can be more on top of where the kids are at and where we need to slow down. They are grasping and remembering the concepts better, I LOVE the Charlotte Mason approach! Bringing in copywork and narration and dictation and living books to help make math come to life for them! I love that there are no tests and that the lessons are short and not overwhelming for the kids. I personally am a big fan of the fact that it is not common core. I am not here to tell you that this is the only math curriculum you should buy nor am I here to badmouth or tear down other math curriculum companies. Once my kids are past grade 6 we will be back to the drawing board and every family needs to come to a decision of what works best for them. 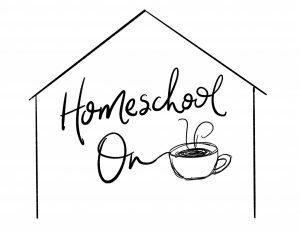 Also, every stage is different and if there is anything I am learning along this homeschool journey it is to keep your options open, you never know what you’ll use a year or two down the road! Instead I wanted to share my experience with the three programs with my kids with 3 very different learning styles and how they worked for them! In the end, this is what we chose for our family, this is what I feel offers more value to my kids and aligns best with my vision to make learning a way of life and something that is FUN, not a chore. I love the Charlotte Mason values, and I love the time snuggling on the couch reading the stories or working on a project together! If you have any questions about it, PLEASE post them in the comments below, I’ll be following this thread closely and do a live event sometime in the next month so stay tuned! Looking for more info or where to buy? You can read my full review on how the program works HERE. You can also get a discount on ANY order at Masterbooks with coupon code REBECCASFRIEND at the checkout. The books are available in PDF form for those of us in Canada, they are also available in print form with free shipping over $75 (in the US). You can take a placement test, view samples, and shop the store HERE. I’m so super excited about this post! Thank you for finally finishing it ;o) I’ve been up countless hours figuring out next year’s curriculum and math was high in our list! We are coming from Singapore math. I loved it, but felt like my kids needed a little more mastery in the lower levels. I narrowed it down to these exact three and was leaning toward Masterbooks! 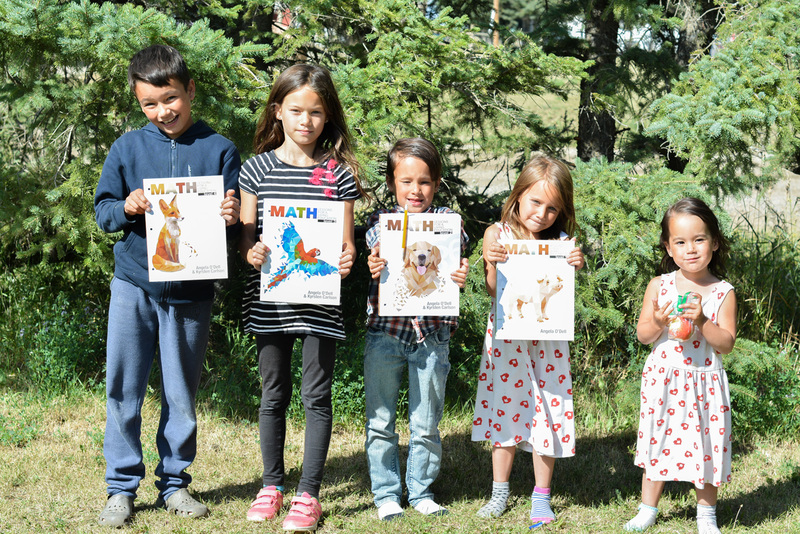 What a coincidence… and answered prayers :o) We will start next year’s homeschool journey with this math curriculum. Thank you also for the coupon code! I got MLFLE in the Fall after your review and I haven’t looked back. Math is such a struggle for my daughter and this program has made it a bit easier for her. I’m so happy that you found something that worked for your entire family! We started out with RightStart Math for three years (very similar to Math U See) and my daughter had a similar experience as yours did with MUS. She was overwhelmed and often in tears and the lessons dragged on because she hated math. This year, we decided to switch to Math lessons for a Living Education, and had very high hopes for it. We excitedly dove in but quickly realized that it wasn’t for us. My daughter cried because there wasn’t enough explanation (book 4). We’ve switched her to Teaching Textbooks for the first time and now she cannot wait to do her math (often she wants to do more than one lesson!). All of that to say, isn’t it wonderful that we have the freedom and resources to try different things to see what works best for each of our unique children?! I love that about homeschooling :). (My son is in year two of RightStart because so far it’s working very well for him. Next year may be different, but we will take it year by year :). I was just talking to someone about this, so I am excited to share this article with her. I am in the process of using TT and MUS but still feel like something is missing. I have also used a bunch of other math programs, but have come to be here at this point. I don’t actually use the discs all the time for TT but have my kid work through the workbook, I check and have him rework certain problems. But he is in 7th grade, doing 6th grade math because we couldn’t find a program that fit and he got behind a bit. We might have to stick with this program until he is done, but I am still looking out for something the rest of the kids can get. Thanks for your post! 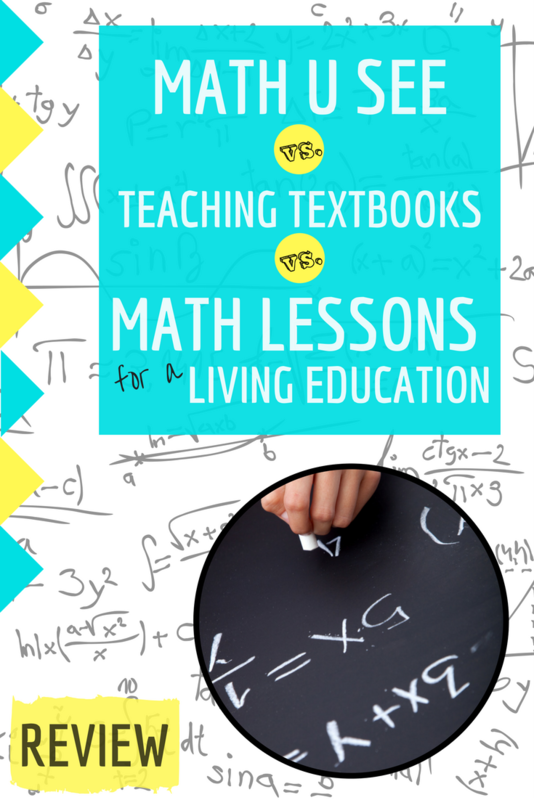 We started using Math Lessons for a Living Education this year and we absolutely love it!!!! We have such a similar journey but we actually started with Singapore Math. We went through that curriculum and then I tried MUS for one child and TT for the other. Total failure! I believe in them actually learning the concepts, not just remembering it to finish the test or a page of work. I actually read your LFLE post when it first came out and was inspired to try it. Since I didn’t really know what concepts they had grasped in those curriculums I decided to buy the first LFLE book and start from the beginning. It took us a month to get through it and we just used it as a base. The kids really enjoyed it. It was easy for them at that point but I knew it was filling in cracks for them. We are now on the 3rd book and starting our second year with it. We have been able to move at a faster rate with it since so far has been partly review. We are now starting newer concepts and slowing down a bit. My son had done TT3 and at the end of it really couldn’t do any of the concepts on his own. Thank you so much for introducing this curriculum to us, it is a great fit! These are literally the three programs I am currently hemming and hawing between! This post makes me want to use MLFLE for my middle dyslexic daughter, but what will you use post 6th grade? My oldest wouldn’t have a book in this program. I have the same question…what comes after grade 6? I suggest Video Interactive Text Pre-algebra then the Algebra. It also concentrates on the WHY of the math. You could also look into Business Math (totally practical and totally counts as a math!). British “maths” curriculums are also more interactive at this level and might be worth looking into. It’s actually very easy to transition into or out of Math U See at certain points once you get past the elementary math sequence. After Zeta, the sequence much more closely follows a traditional scope and sequence. So, I wouldn’t decide on that basis alone. Math U See is common core aligned, but all that means is that they do cover the topics required by CC. The program hasn’t substantially changed since long before CC came to be (in fact, old DVDs of the lessons are compatible with the new books). My middle is doing Principles of Mathematics from Master Books for grades 7 & 8 and loves it! She was in tears before trying this. Now she understands the why and how. Also doing Master books math with my 2nd grader. Love the Charlotte Mason style!! I am using MUS for my younger kids (boys), but if that fails to work for us at any point we will shift to Math Lessons. My oldest is using MLFLE 6 after which we plan to do Teaching Textbooks Pre-Algebra and continue on with TT through high school, or MUS Pre-Algebra and continue on with MUS. I’m not sure which yet!! Big huge post curriculum crash hugs. Our story is much like yours in the tears, concept holes, and me, unknowing of the gaps that smooth running lessons had left in their wake. MFALE is wonderful. I even wrote Angela Odell and encouraged further levels. We went to rays arithmetic after book 5. We also found math-u-see and life of Fred wonderful together. What will you do after level 6 of MLFLE? I have one in MLFLE, two in TT and one in ACE math for her K year. I have 6 all together and I can’t do personal lessons with everyone. Not enough time. We did MUS for two years and are just making a break from it after pouring money into 5 levels of it. Of these three options, I would choose TT over MUS for grade 7+ at this point. Mainly because I think MUS is really hard to transition into and out of if you haven’t been using it all along and it is common core, which I’m not a huge fan of. I hope that by then my kids will have a really strong foundation and we can just build upon that year after year with a program such as TT or whatever we decide to go with at that point. Does that help? We switched to MLFALE last January because of your recommendation and have become enamoured with math. My kids love the stories and I even look forward to reading on. So glad we found this when we did. Thank you!!! I love that you posted on this, I have been thinking of getting this curriculum for my boys. My question is, they are behind, but know some of the concepts taught up till level 2-4, so what level do I start with? I don’t want to start too easy, but not too hard either. And I don’t want to waste my money because we don’t have much extra, to fiddle around with where they are. So what would your experience recommend with this? Thank you so much for posting this! 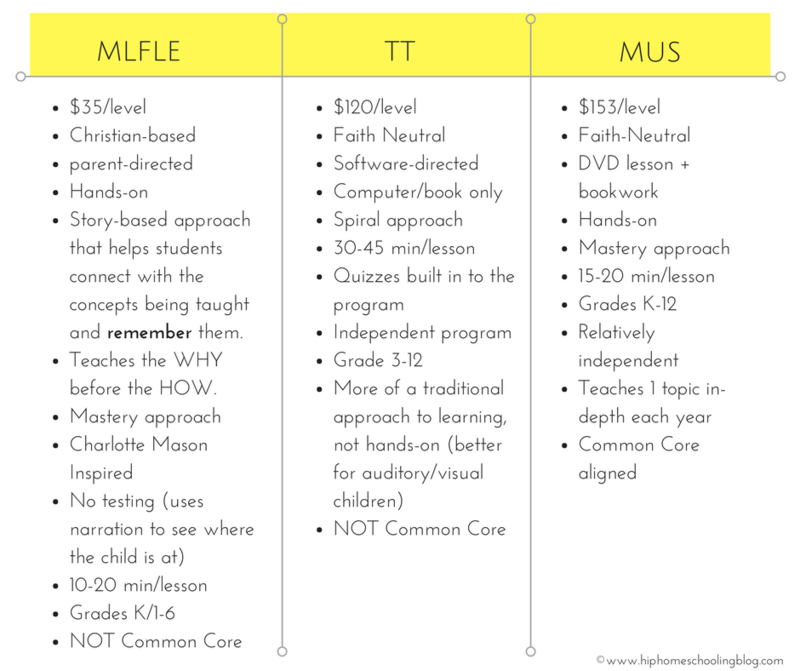 I also followed your post with this last Fall and have been comparing these 3 curriculums. I have been wanting to email you and find out if you were still using MLFALE and liking it. This was an answered prayer! Ordering today, thanks for the coupon code! Awesome! That is so good to hear! We just started using this as well. We dove into level two which is a good fit. Do all of your kids use the place value village? The concept seems confusing for my guy ( who is on the spectrum and gifted). Do you think I could just skip it? My daughter passed everything in book 2 (placement test) without issue. She didn’t do well on book 3. So, I am going to order her the 3rd book right? Just want to be sure I am doing it correctly. I am hoping that she will like this math better. Thanks for the code. MLFLE level 1 has more printing work than my kindergarten child is ready for. His basic number concepts are good but will be in tears if required to write all numerals right away. What do you recommend for kids not ready for level 1? RightStart math! I have not homeschooled as long or tried as many things as the blogger here has, but your child sounds similar to mine, and RighStart has been excellent for her. It’s more of a spiral/mastery hybrid, but most of it is done verbally or shown on the abacus with very little emphasis on worksheets. My daughter was ready for the concepts but her fine motor/writing were behind, so it was perfect for her. It is often recommended by Charlotte Mason curricula, although it is on the pricier side unfortunately (lots of manipulatives). We were blessed to get those as a hand-me-down! I plan to go into Principles of Mathematics by Master Books after we complete Level 6. Is this not a good choice??? From all of my research it seems very similar in it’s design/thought process. I haven’t looked at it or tried it so I have no idea. We will likely be looking around and trying a few different things (review style) before deciding that stage, but if it is set up similar that is AWESOME! I’ll add it to my list! We have had great success with Teaching Textbooks, and you failed to mention that it is NOT Common Core aligned, nor do they ever plan to be. TT also teaches the WHY before the HOW. It does NOT work very well for a student to do TT all alone, but that is not how homeschool is supposed to be. I check with my daughter every day and make sure she understood her math problems for the day. I often sit with her during her lessons. We laugh at the silly characters. Sure, it would be easier for me to “sit back and sip my tea” while she did her math alone, but that’s not why I homeschool. 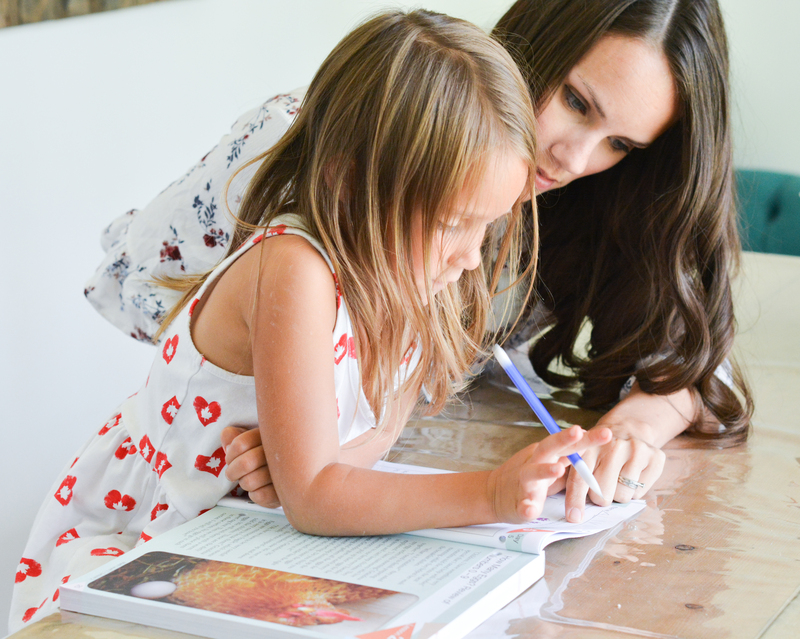 I just want people who may be turning away from TT because of your post to know that it CAN work, but, like every homeschool curriculum, it requires some parental involvement. Every child is different, and what works for one may not work for another. Best of luck finding what works for your family. Yes! I agree! TT is wonderful for us. I love that the child can listen to the lecture as many times as needed and there are practice problems. Plus, having the automatic grade book is wonderful. Even if you don’t sit and work with your child through each TT lesson, checking the grade book is key. A sure sign of whether they are understanding the lesson or not. If you stay on top of that, then you can have your child redo the lesson if needed…instead of waiting until the end of the year to find out that they don’t understand anything. Thanks for posting this, I have a math lover but am having trouble finding a fit aside from math games. I love that its affordable, even if she hates it I am not going to feel guilty abandoning it. Hi! We used Level One last year for my son and are continuing to work through it and into Level Two this year. He is almost 6. Did you use Level One? I have been confused with the right brain flash cards. I’ve googled and still been confused. Did you do right brain flash cards for the math facts or something else? If not how have you taught the math facts? I e-mailed Angela O’Dell and received the corrected pages explaining them, but I was still uncertain if every time an addition problem was introduced I was supposed to make a card or just go through the tables. Thank you for your time, I know you must be busy. I just purchased level 2 and 6 after reading your post, but forgot to use your coupon code! ? I love comparison reviews! It would’ve been helpful for me if you had gone into a bit more detail of what each day of each curriculum looked like though. I am so new to this, maybe your other readers are more experienced and already know all about these? In any case you’ve given me a lot to think about as I begin to research! ? So excited you wrote this post. We are starting this math program in a few weeks. Hoping we love it too ? Thanks for the review!! I was just looking into math for my son. He is 7 and just finished 1st grade. He is a very visual learner, so I was considering math u see, but he gets frustrated with mathseeds.com sometimes and I wonder if he is really understanding the why behind the how. These look like they may be a good fit. We had done Life of Fred for kindergarten, and he liked them, but I wasn’t sure he was getting enough understanding there either. I really appreciate the review and the coupon code!! Thanks for the review! I could totally relate to so much of what you said. Two questions for you regarding MLFLE: If I have two students in the same level, can I just buy one book? Would there be any benefit to starting from the beginning, even if they should be in level 2 or 3? I don’t want them to be “behind” but at the same time I want them to have a strong grasp of numbers and how math works. I just purchased Level 1 for my son. I was looking at the sample when he came in and asked me to read it to him. He loved it and begged for more! I cannot wait to receive it and get started just because I love the excitement on his face when he is learning. Thank you for your review! This post couldn’t have come at a better time. I was just researching math curriculums.We have been using CLP for the past 3 years but we really needed a change. We have tried Singapore, MUS and TT but none were a fit for my kids. I decided to go with MLFLE so I bought the levels we needed this morning. The one thing I was curious on was how you go about adjusting the measurements and money ect to Canadian? I have only ever used Canadian Books before now. Awesome post. We are loving the same math program too! 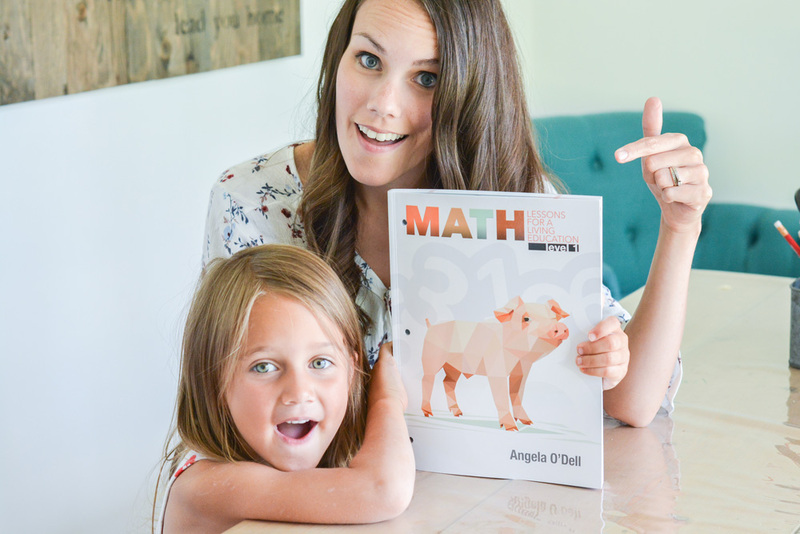 If you choose to do more math with your youngest, we found farmland math from timberdoodle. So sweet and gentle and fun! Sorting, counting, and arithmetic with colorful farm animals. Do what’s best for you! Great review, thanks! We just began using MLFLE this summer to try it out. I was using 3 different math curriculums for 3 different kids. We love it so far! I started each of my kids at least one grade level back. They are each going at a different pace, but they are understanding the lessons! I love the CM approach and hands on activities. My daughter finally understood the concept of division today as she divided beans into bowls. My son who is advanced in math is tearing through his book at one lesson per day instead of per week, but it’s been a great review. I plan to keep all but my more advanced son using MLFLE. I’ll bring him back to Singapore because it works well for him and he prefers it. Other than than, I’m settled on MLFLE for the foreseeable future for my other 4 kiddos! Thanks again! For 7/8 I definitely recommend you look at Principles in Mathematics! We love it as well as MasterBooks math. Where is this place value village from? Would love to get one for my 3 year old. I use all three of these math programs, but with different children, lol. 🙂 I would say that if you expect your elementary students to do math independently, you are going to be disappointed regardless of the math program you use. Math U See is not designed to be used independently by elementary students. While many parents do show their kids the DVDs, the program is designed (in the elementary grades) to be taught. That’s why there is no “text” but an instructor’s manual. With Teaching Textbooks, some parents sit with their child while they are doing the lessons. All the parents I know who use it have their children write out all their work in a notebook before entering their answers in the computer. But regardless, you can check the grade book at any time to see what they don’t understand and you can clear any lesson and have them do it over again. 😉 I don’t personally use it with very young children, but I’ve found it to be excellent for high school (IF you keep tabs on how your child is doing). My senior told me that he finally REALLY gets algebra due to TT and he is taking Pre-Calculus with it this year. But I touch base with him every day on how math is going so I can step in if need be. I’m scratching my head over the author saying that Math U See is intense—it works great for my math phobic kid with learning issues, because it’s so very easy to back up, slow down, and tailor it to his needs. Do we ever have places where he gets stuck. Yep. But I have 4 kids and he is my 3rd—this happens with any math program and it happens with every kid from time to time. The beauty of homeschooling is that we can take a break from a concept, try a different approach, play some math games, whatever. If a concept is really hard for my son, he might only do one problem that day, and it’s fine. Kids don’t develop academically in a straight line, there are plateaus, sudden gains, and so on. 😉 His older sister started using MUS for pre-algebra this year and she doesn’t love it, but she chose this program because she found that she was struggling with some concepts and Math U See explains them in a way that she understands them well. I’m currently using MLFLE with my 3rd grader and she likes it so far. I’ve previously tried it with two other children (before it was picked up by Master Books) and it was OK, but not a good fit for those kids. I think it is a good fit for this child, so we’ll stick with it for now. Math U See does NOT cost $153 a level, lol. That price includes the blocks which you use with all the elementary levels. Once you have the blocks, the level up set is about $83 (for Beta), which includes the DVDs (reusable and resalable), the teacher’s manual (also can be reused or resold), and the student pack (the only consumable part). The student pack costs about $40 on its own. Many families buy the instructor materials used and just buy the workbooks new and then they sell the manual and DVD when they are done. Teaching Textbooks is also reusable and resalable. In fact, I’ve borrowed a set from a friend to use it and the Pre-Calculus we are using now is shared with a friend. 😉 It’s a big initial investment, but if it happens to be a good fit for your family, then it can be a very frugal investment and it does have a high resale value. MLFLE is consumable and cannot be resold. I do agree, though, that it is a very inexpensive, quality choice. Your price point on MUS is unfair. If someone was new to homeschooling they may think it costs that much every year with the way you wrote this. You and I know it only costs that much for the first student as the blocks are disposable and can be used by multiple students. For a level up set it’s $80 and if you already have the teachers guide and DVD, it only costs $40. And that is far cheaper than TT or most mainstream math curriculums. I do understand your other concerns though. For a struggling reader, I think MUS is able to be done far more independently than MLFLE can be, so for now we remain with MUS. I have definitely considered the other though. Also, for post 6th grade, MasterBooks sells a jr high math curriculum to follow MLFLE. You may want to check it out. I meant to say the blocks are NOT disposable. I could be wrong, but I strongly believe your statement that MISS aligns with common core is incorrect. Steve Demme himself says that it is going to throw off their standardized testing scores because it doesn’t match up with traditional grade levels, because of sequencing and their mastery approach. It’s right on their website, I did confirm it, I was actually surprised to see it. It’s not a big factor for me, I’m in Canada, I choose based off of what works for us but I wanted to include it for those of you guys who might want to know. I was just curious how religious the program was? Hello! Thank you for your post! I am curious about this more and have some questions. I just started homeschooling and started with TT. My oldest though can’t seem to remember the concepts after a few days very well even though he is good at math he seems to forget what he is taught and I’m not sure if it’s the curriculum or him. He has trouble with auditory learning for sure and a tad ADHD. Could this help him with those things? I do feel stressed because I want too but I don’t have the time to do every subject with every child(4) so I do need stuff they can do independently. My 2nd seems to be great auditory wise and loves TT and is retaining info just fine and wants to do it, begs to do it. Any help or advice would be appreciated! Thanks!! As a Curriculum Coordinator for a Homeschool program I have access to all the texts reviewed (and more). MLFLE is my top choice! And I even used the Principles for Mathematics for my youngest in 7th and 8th grades! I love how the curriculum gives glory to God. You do not need to be religious to realize that the God who created the universe is also the God who created mathematics. Once we understand this order, the texts build to introduce and teach mathematical concepts. It just makes sense. My math-hater became a math-lover. I show our homeschool families the difference between TT and MUS, and then recommend Master Books when they ask, “What would you use?” or “What did you use?”. We are going to start homeschooling soon and Im very interested in this math curriculum. I can’t, however, I can’t find a list of manipulativs that are needed. I would really like to know before I buy it So I know how much Im going to end up spending in total for this program. Does anyone know what is needed for level 1? At a year later, I would love an update on how you and your sweet tribe are liking the Math Lessons for a Living Education.